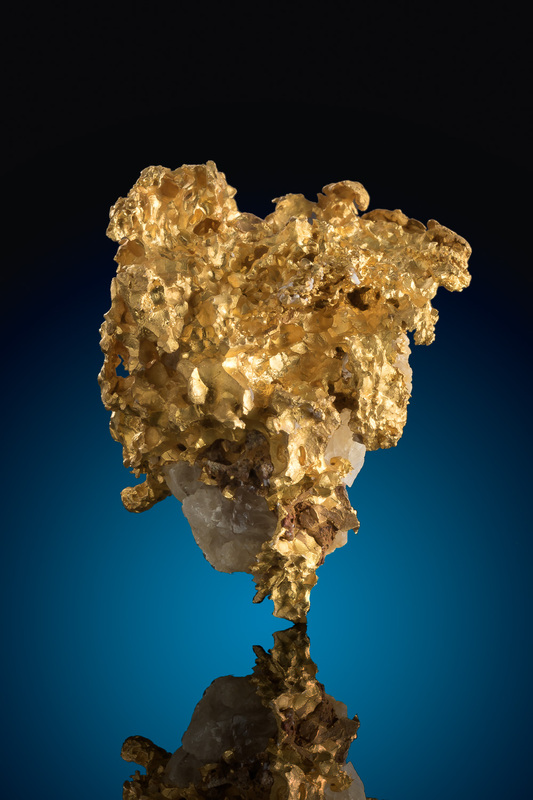 An absolutely stunning yellow crystalline gold specimen in quartz from Alta Floresta, Brazil. 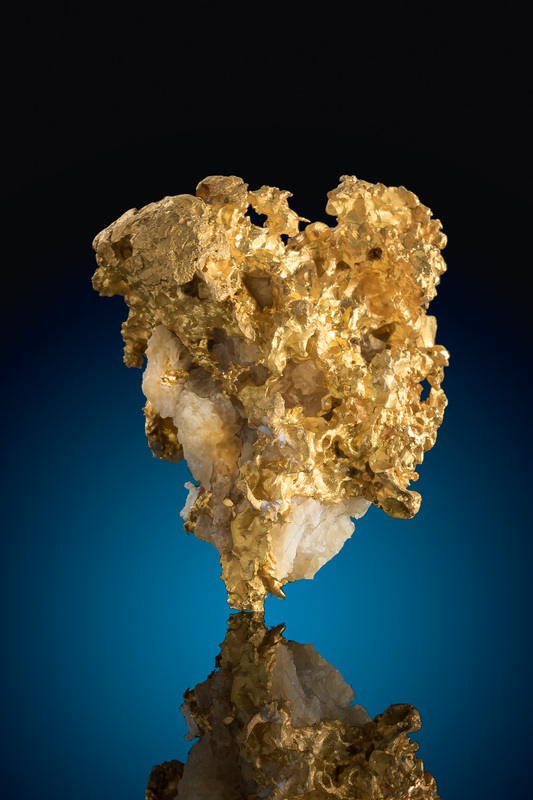 Heavy and dense with a very defined structure of crusty and sharp gold with several inclusions of white quartz. 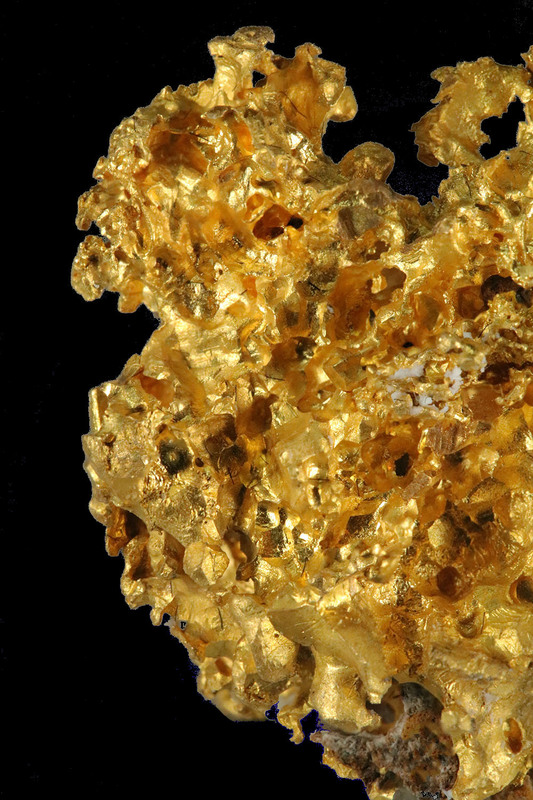 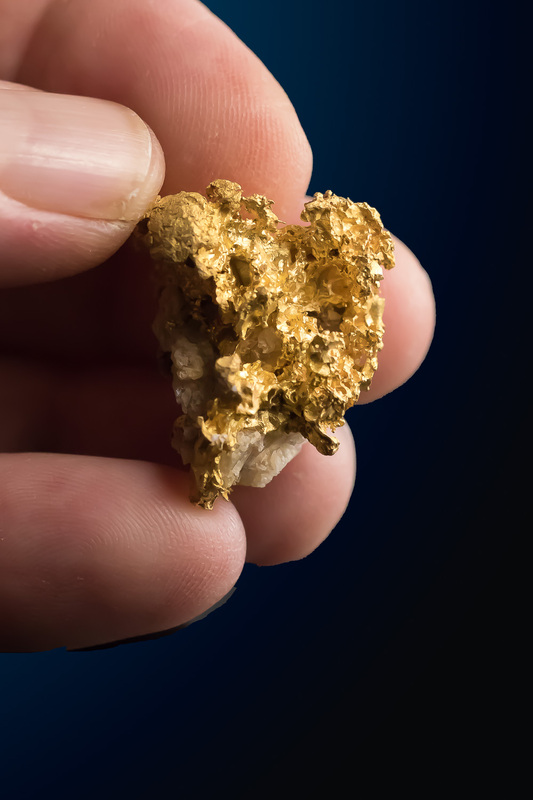 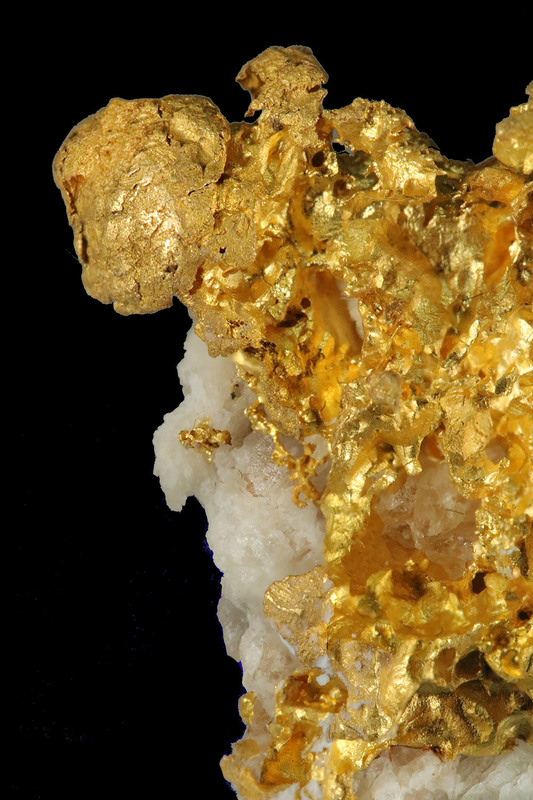 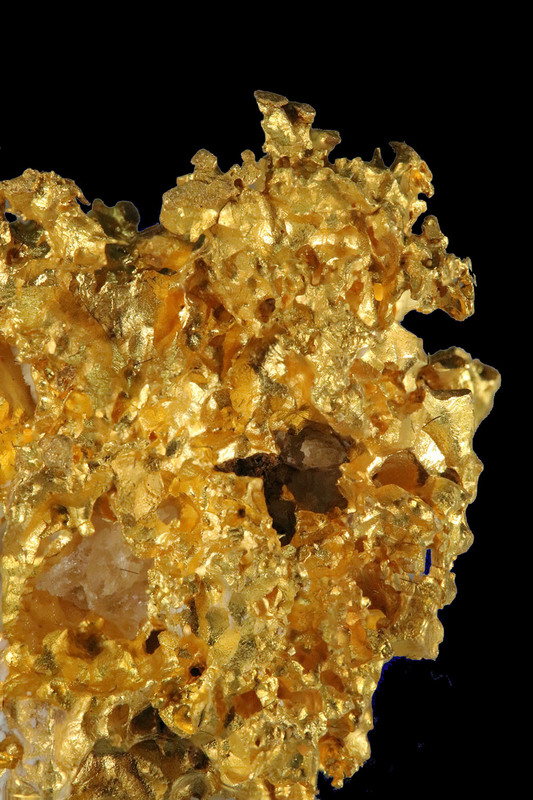 A beautiful piece of natural gold from South America.